No one would deny that the search bar on the real estate website increases a chance for successful deal. Above that, this web template includes the picture slider, where you can attract a customer visually. 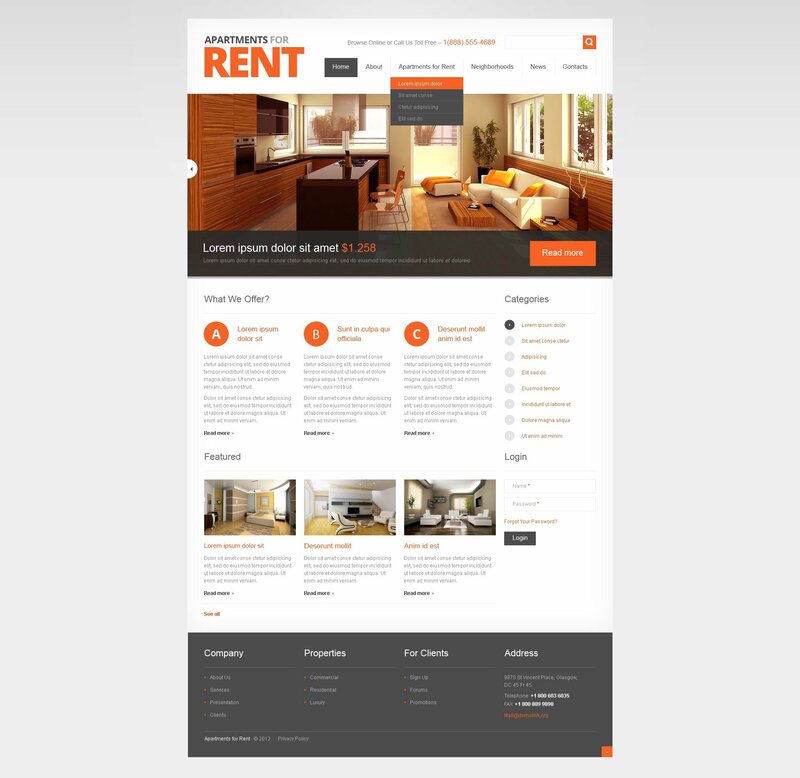 The spacious content area will help you display the needful information about the objects for rent or for sale. The design of the theme is light, calm and sympathetic. Single Site License $66 Under a Single Site License for the template you are granted a non-exclusive non-transferable permission to use the template on a single domain.